Lockrite Security provide quality Intruder Alarms to protect homes and offices throughout Hampshire, Surrey and Berkshire. We offer annual alarm maintenance contracts for your alarm system to ensure constant working order. Our alarm installation team are highly trained in every aspect of home and business security – they work quickly and unobtrusively, making sure to leave your premises exactly as they found them. 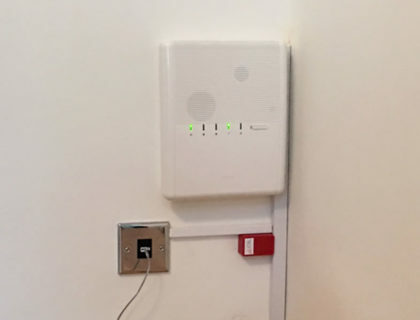 Once the installation is complete our engineers will fully test your security system to ensure its working and that you know exactly how to operate it. If you have any questions after the installation please feel free to contact us – we’re here to help. Passive infra-red detectors that react to movement within your property. If your property has pets we can install a special sensor to eliminate false alarms caused by your pets. Our alarm systems can be armed and disarmed using a smartphone or by entering a key code. All these sensors will be linked up to the control panel using wires or wireless technology. 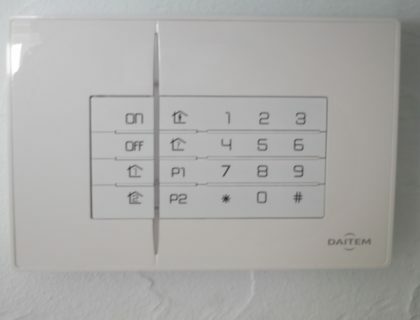 The control panel is connected to an external sounder that generates the audible alarm if the alarm is activated. For additional security we can install a decoy belbox outside your premises.